Covers techiques for natural pest control of flower and vegetable gardens, orchards and small farms. Includes sections on companion planting, birds and other pest predators, descriptions of Australia's common pests, and the creation and use of organic pesticides and fungicides. Concentrate on growing crops well, and you will find you have very few pest or disease problems to worry about. 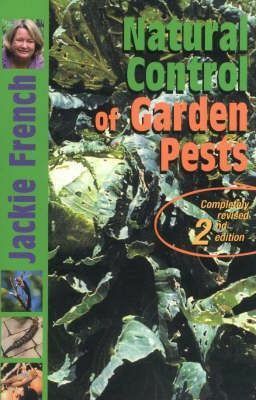 Those pests that persist can be controlled with the multitude of organic pesticides and fungicides Jackie has developed and tested in sixteen years of observation, experimentation and hard work. This book contains workable natural gardening and farming methods, along with techniques for natural pest control in flower and vegetable gardens, orchards and small farms.